This book was compiled by the Capt. Sally Tompkins Chapter of the UDC (United Daughters of the Confederacy), Cookeville, Tennessee, and published in 2007. 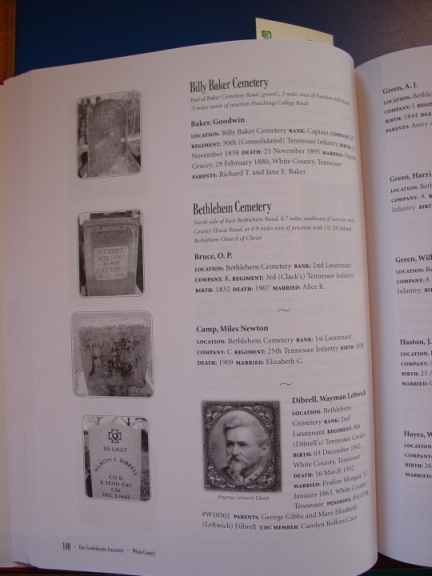 This hard cover book contains over 1,000 photos of burial sites and markers of Confederate Soldiers buried in Cumberland, Putnam, Van Buren and White Counties, Tennessee, as well as other historic photos. It also includes a few soldiers in Jackson, Overton and Warren Counties, Tennessee. The men of the “Immortal 600” with ties to Tennessee and short sketches on interesting people including General George Gibbs Dibrell and Capt. Champ Ferguson and the murder of Texas Rangers at the Officer House in Overton County are included as well. 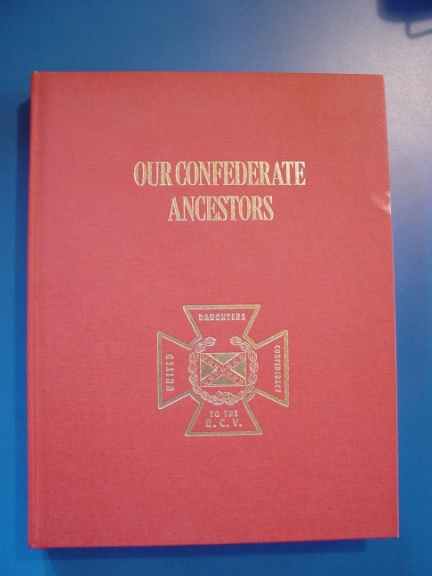 The book is 335 pages with an index in the back listing all the names of the Confederate soldiers who are included in the book. This would make a great addition to your library of Confederate history. Shipping by Media Mail is $6.00 within the lower 48 states. Please contact us for shipping cost to Alaska, Hawaii, and international.